How Do Employee/Alumni Accounts Work? When an alumnus of the college is hired by the college, their status as employee, as it relates to their email account, takes precedence over their status as an alumnus. This arrangement can get confusing when considering the policy that alums are offered an SNC email account for life. 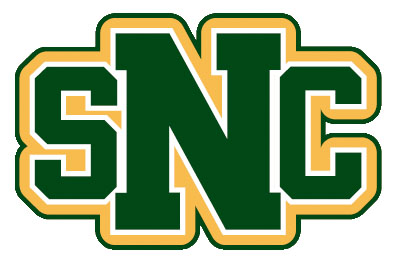 If the employee graduated from SNC after 2005, their account will be automatically transitioned from an employee account to an alumni account at the end of their last work day. The account will not be disabled; the alum will continue to have full access to the account. If the employee graduated from SNC in or before 2005, their account will be automatically disabled at the end of their last work day. If the alum would like to maintain their email account, they can apply for this by submitting the Alumni Computer Account Application Form, which will then be handled by the Alumni Relations office. Note that this process requires that the account is first disabled; the alum will lose access to the account during this time. To minimize the amount of time that the account is disabled, we recommend the alum submit this form the day after they leave college employment (the first day that it's disabled). It may then take several days to process this request and re-enable the account. After any employee leaves the college, their supervisor is able to gain control of the account for up to 30 days, as explained in the Accounts article. For alums, this means that they may lose access to the account during this time. No matter how an account becomes an alumni account, it is subject to the password change rules which apply to all accounts. Passwords must be changed every six months. If an alum chooses not to change their password, the account will expire the first day following the six month period. In order to insure that the account is not disabled, we recommend changing the password before it expires, though it can still be changed up to 60 days after it expires. If the account remains expired for 60 days, it will then be disabled. At this point, an alum can still request access to their account by submitting the above-mentioned account application form. Can I Get Support For My Personally Owned Device?